Jakarta, Sport becomes mandatory when you want a healthy body. But lazy and no time is the reason many people do not exercise. You might try Orhiba, Sports New Life is simple enough with a range of motion. Sports Orhiba or New Life is one sport that is very simple, easy and practical. Exercise is also known by the name of Sports Agency Seeing Blue Sky Meats. Easy because his movement is very simple, can be performed by children, adults and old, healthy or suffering from disease. Practical because it can be done anywhere and anytime. Only takes approximately 5 to 10 minutes per workout. The cost is cheap because it does not require any special clothing and certain equipment, do not even need to leave home to do so. "Orhiba is unique because of its movement a kind only, namely with a swinging arm to the back straight and upright manner. 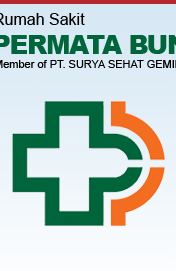 The movement is done after we are mentally prepared to accept the energy of the universe," said Sita Sudjono, General Secretary and coach at the Foundation Center Orhiba when contacted detikHealth, Tuesday (03/05/2011). According to Sita who is now 76 years old, everyone can do Orhiba ranging from small children to the elderly because this sport is very simple. "Many people who do not believe, because only with such movements can be healthy for the time anyway and cure diseases. But if you've tried and do it, you'll feel the extraordinary properties," said Sita. Sita explains, the key of Orhiba is the chakras (energy centers that exist in the back). "The energy is obtained by removing a breath and then the energy will be absorbed by the pores of the skin and chakra," said Sita who has been trained Orhiba for 40 years. Orhiba provide hope for patients who otherwise can not be cured. Some people with diseases that the doctors declared not to have a longer life expectancy because the pain was too severe or there is no cure, such as patients with asthma, diabetes, liver, kidneys and tumors, cancer, skin problems, heart problems and was paralyzed by a stroke, after making Orhiba with the orderly and regularly for several months was able to overcome the disease and healthy again. "This sport can be done at any time, 3 times a day and every day. Good hell every morning to fill the body with energy. As a cell phone should be in-charge, the body also needs in-charge for energy is not depleted to conduct activities throughout the day, "said Sita. According to Sita, the more frequent exercise is done the better the benefits that can be felt. But it should be done at least 200 times (hand waving motion) every time you exercise. This amount can be more or less in accordance with their respective capabilities. "Sports is not no conditions, no taboos, too. But it must begin by focusing the mind with the universe, love the body and assume that the body is the most important," said Sita. Standing tall barefoot, heels meeting. Toes stretched sufficiently. Concentrate the mind and connect ourselves with God. Realize that the body is the most perfect creation. Watch and see the physical body, caused a sense of love for the body alone, imagine the meat under the skin. Touch (touch) the whole body starting from the right arm, left arm, chest, abdomen, thighs, knees, feet, shoulders, neck, head and face. When touched his face with both hands, imagine the face of its own. Straighten your back, chest cavity busungkan, strengthen the stomach, the muscles in the lower abdomen, back muscles. Center of the chest and caused strong desire (intention) to do the sport living for the flesh body to stay alive. Â In the manner as above, spread your arms sideways (flat shoulder), then the second round with a strong arm toward the back, making a circle as possible. Do the twist arms continuously without falter. When the arm moves to the upper brace abdominal muscles, the heel will be lifted slightly from approximately 2 cm (but do not tiptoe or on tiptoe). Strengthen your back muscles when the arm down and heel touching the floor. During exercise, the muscles should be taut body, the chest remains dibusungkan, Adam's apple was pulled back. Open your mouth slightly so air can come and go freely. See or imagine the blue sky (the universe). After enough sesuia with the ability to rotate the arm, stop the movement of arms, but try to remain tense body, without breathing for a few seconds. Then release the tension body, stand up and breathe normal again. Once again rubbed the meat is rubbed all over the body like in the early stages. Turning to praise and thank the presence of God with the hope that the body remain healthy, strong and alive. 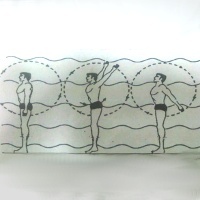 To obtain maximum results in a short time, Orhiba exercises should be done 3 to 5 times a day. In the beginning, do it 25 or 50 times round course. For people whose bodies are weakened by illness or old age, the amount of the twist the arms carried by ability. Never push yourself. Gradually the number of turns the arms must be added to achieve a minimum of 200 times. If you have been able to do 200 times round, that number should not be reduced again. Exercises can be repeated with a distance of 30 minutes or more. Â Â Â Â Good for treating obesity, as regulated by the body's appetite sesuia needs. Â Â Â Â IQ of children increases, added intelligence, easy to absorb the lessons. Â Â Â Â Useful as a sport in schools, offices, rehabilitation centers, nursing homes and others. Â Â Â Â Eliminate stress, depression, feeling so optimistic, calm, brave and more confident. "I was 76 years, Alhamdulillah have never experienced the disease beat. My mother also had died at the age of 93 years and never ill. Compared with friends his age that has been bent, he's still healthy and fit. Even 2 days before death still exercise Orhiba, "lid Sita. 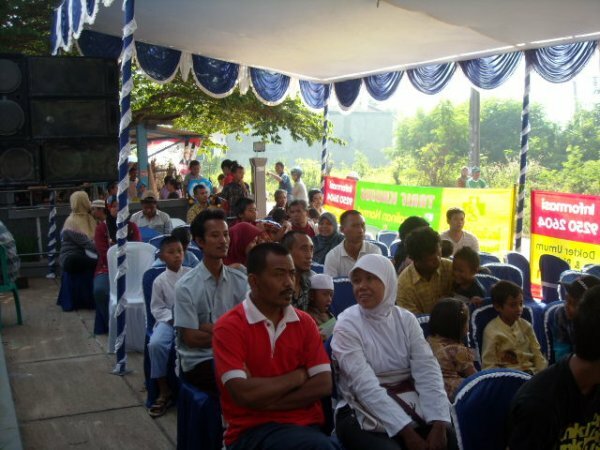 If you want to know more and exercise Orhiba directly with an expert, you can come on the show Healing Festival, 6-8 May 2011 to be held in Tirtayu Healing Center, Jl Senopati Raya 20, Jakarta Selatan. Healing Festival contains a presentation, talkshows, workshops and consultations on all matters relating to healing and balance the body through a comprehensive holistic approach. Both the Eastern and Western methods, as well as medote komplimentari.